The first thing to keep in mind is that a financial presentation should not be just a dump of data-filled tables and incomprehensible charts. 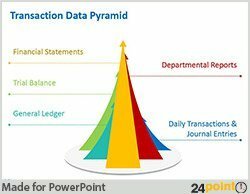 Detailed profit and loss statements, balance sheets and so on might make sense in an annual report or financial statement, but a presentation should showcase the highlights of such data. The year or quarter’s financial performance, revenue analysis, goal setting and strategy roadmaps are the essential elements of a financial presentation. Since revenue analysis communicates complex information and the average audience cannot digest reams of data instantly, ensure that you use a well laid out table with the appropriate colors. This will help your audience understand better. 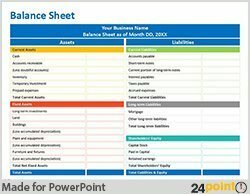 You can buy attractive, ready-made, customizable Revenue Analysis Table from 24point0. Get rid of clunky Excel spreadsheets and either use the Table style gallery in PowerPoint to create neat tables or use this clean, ready-to-use template from 24point0. 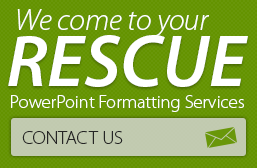 See how you can present financial highlights of your company in a professional looking format. Where possible, use graphics to present vital information. 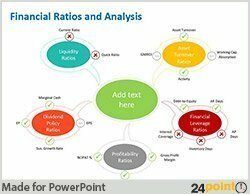 For example, you can use various kinds of visual representations to present financial ratios and analysis. If you can’t create one yourself, then simply use this handy financial ratios and analysis diagram from 24point0. 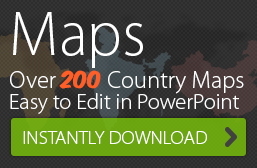 Smart, well laid out and compact, it will help you deliver key information with minimal effort. Keep checking 24point0 for more tips about creating financial presentations that deliver.